My “war” section continues to be one of the most popular areas in my classroom library, and while I do not naturally gravitate towards this subject, I have made a point to find hot titles that excite my students. 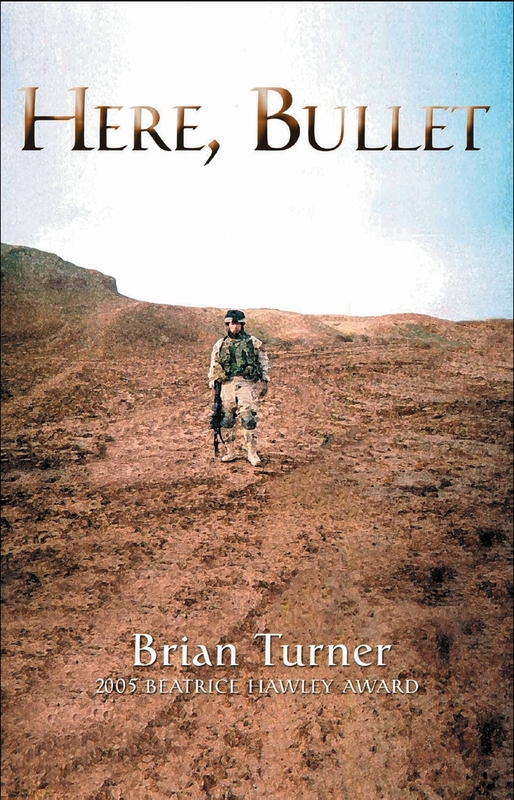 One of my favorite war books is Brian Turner’s anthology of poems, Here, Bullet. This book is a different type of war story. Not only is this one of the only war books I have read cover-to-cover, but it is also one that breaks down the stereotypes of poetry by transforming what many of my students consider to be a fluffy form of writing into a stark, honest, and emotional portrayal of battle. Ultimately, Turner is a master of painting the pulsing images of war through poetry. Turner’s poems, which are short and succinct, are also raw and relatable. He draws from his seven years of experience in the US Army where he was deployed to both Iraq and Bosnia-Herzegovina. I use this anthology to draw in the students who otherwise are resistant to reading or even studying poetry. While my copy is heavily annotated and marked up, I still make it available for my students as an independent reading book and even as a mentor text. there here is bone and gristle and flesh. here is where the word ends, every time. I love how Turner intertwines the imagery of a gun with a human body. The juxtaposition between the hardness of weaponry against the softness of flesh is eerie and makes it as if the two become one: “Here is where I moan the barrel’s cold esophagus, triggering my tongue’s explosives for the rifling I have inside of me.” He is a wordsmith whose lines inch their way into your psyche, leaving you repetitively combing through each poem word by word. Oh, this one must be paired with Kevin Power’s YELLOW BIRDS. That’s like the most perfect pairing. Ever.